There are moments in life I will never forget. Some are, of course, more significant than others, like the birth of the Intrepid Junior Blogger, while others are smaller moments but still ones that have changed my life. One of those moments for me was when I took the stage at the Suncor Energy Centre for the Performing Arts almost two years, stood on a small red dot of carpet and began to speak. Since that day in June 2013 I have often reflected back to that moment in time, even though I only truly recall the beginning and the end, my mind blocking out the moments in between when I told a story that was personal and meaningful and that I had never anticipated I would tell to an audience. I recall the shaking voice, the quivering hands and then starting to feel the flow of the story I had rehearsed time and time again, in front of a mirror and in my car and in dark quiet moments when I lay in my bed at night. It was what I now refer to as my “TEDxperience”. This year I was honoured to be asked to serve as a coach for one of the presenters at TEDx this year. 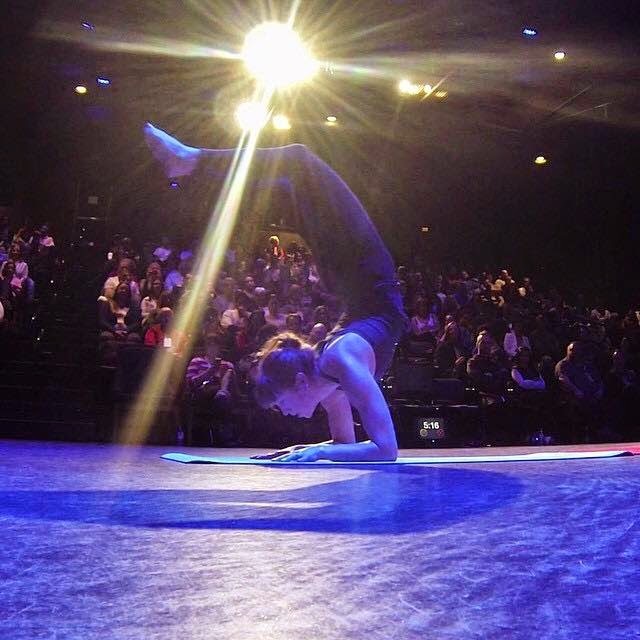 It was truly a transition to move from presenter in 2013 to coach in 2015, and I am so thrilled to have been the coach for Kaitlin Armstrong, a remarkable woman in every regard with a deeply compelling tale to tell on the TEDx stage this year. When we first met I quickly realized why the TEDx organizers had assigned me as her coach, as it was clear that she and I might be different in many ways but our similarities outweighed the differences. As we grow ever closer to the event I have seen Kaitlin follow a similar journey to the one I travelled in 2013, her story becoming more refined, more powerful and more potent as the days until she takes the stage slowly count down. Kaitlin is just one of the presenters, of course, and there is a line-up of speakers for TEDx Fort McMurray this year that will inspire, enthrall, engage and excite. The exchange of ideas and thoughts will be without true measure, as I know while telling my own tale was a pivotal moment in my life it is what I learned from the stories and tales of my fellow presenters that truly changed my life. I met a group of other people who told their stories, some personal and some of a more professional nature, and in that group I found new friends, new ideas and new energy. I walked away from my TEDxperience with the memories of a journey I will never forget, and people who had found their way into my heart through their own courage in standing on that stage, their voice shaking a bit at first, their hands a bit quivery, and then telling their story, whatever it happened to be. 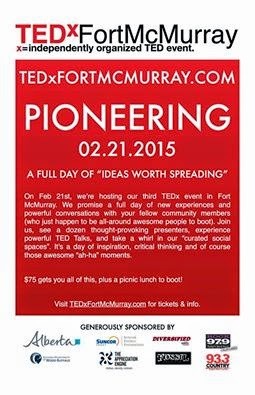 The theme for TEDx Fort McMurray this year is Pioneering, a phrase that often comes to my mind when I think of this community, this region and this country. My great-grandparents were among the group of European pioneers who came to this country to forge a new life, and I feel their spirit strongly in my blood as I have never been afraid to blaze a new trail where none existed before. Perhaps this is why I feel so keenly attached to Fort McMurray, as this is a place that seems to both breed and attract pioneers, those unafraid of bold new ventures, new ideas and even what seem to be impossible dreams. To be a true pioneer requires that kind of fearlessness and ability to believe, to bravely throw oneself into unknown territory…like onto a stage in front a couple hundred of your fellow community members, and tell a story. Two years ago at TEDx I spent an entire day immersed in the experience, as both presenter and audience. The Intrepid Junior Blogger and I both sat in an adult ballpit and met a stranger, prompted by questions on balloons to share a bit of ourselves with our new friend. When the video of that moment emerged again this week I was flooded with memories of that day, recalling the journey, the moments and the way the TEDxperience changed my life in more ways than I could ever recount. This year on February 21 you have the opportunity to be a part of the TEDxperience, too. You can watch as pioneers of ideas and stories take the stage to tell their stories, ones likely to be as diverse as this community is. 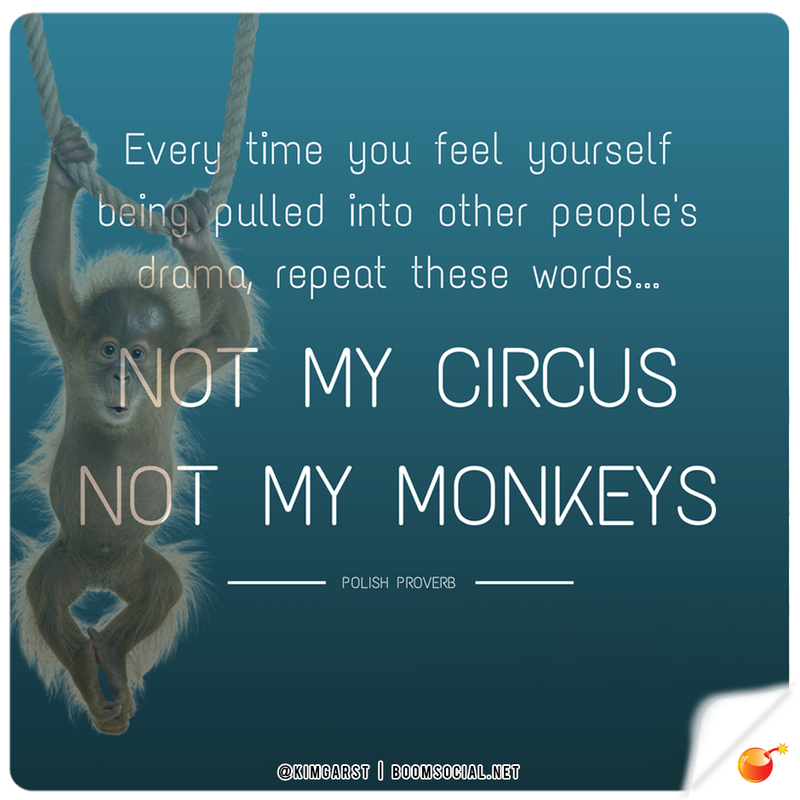 There will be unforgettable moments, ones that make you think, make you laugh and perhaps even make you cry. It is all part of the TEDx experience, a day of ideas and thoughts and concepts and moments in time you will never forget.